Geeklings, a very Happy New Comic Book Day to you all! There’s just something about waking up on a Wednesday that makes the rest of the week worth it. Sure, I have to work till five all week. And yes, I have responsibilities and things that eat up my time, but none of that seems to matter on a Wednesday. Wednesday is our day Geeklings, and outside of the weekend, it’s the day I look forward to the most. That’s the power of comics. I want to know, what’s your Wednesday tradition? Are you like me, waking up crazy early and downloading your books or do you wait till after work to go to your local comic book shop? What’s your favorite aspect of New Comic Book Day? Sound off in the comments or throw me a line on Twitter (@iamgeek32) and let me know why you love this mini-weekly holiday so much. While you’re doing that, I’m going to break down this week’s books and my friends there are some real doozies for this week’s Pull List. So, without any further delay…. let’s break down some comics! Daredevil #1- Daredevil is one of those characters who is measured by his runs. 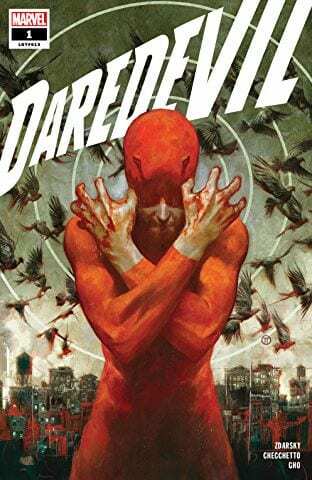 Writers like Frank Miller, Brian Michael Bendis, Edward Brubaker, and most recently Charles Soule have all added to the pantheon of tremendous Daredevil runs, and today we begin a new one. Chip Zdarsky takes over the reins of the Man Without Fear with Marco Checchetto on art and the results are nothing short of spectacular. Zdarsky creates a Daredevil comic that reaches out to all types of Daredevil fans. For those of you still bummed about the Netflix cancellation you’ll feel right at home here. For those of you who just love the gritty nature of Hell’s Kitchen this book has you covered. What’s Daredevil without a little bit of religion? You won’t have to worry about that cause the book taps into those threads too. This feels like classic Daredevil and is sure to fly off the shelves. Zdarsky’s writing is fantastic and Checchetto is perfect for this series. You’re going to need to read this one. 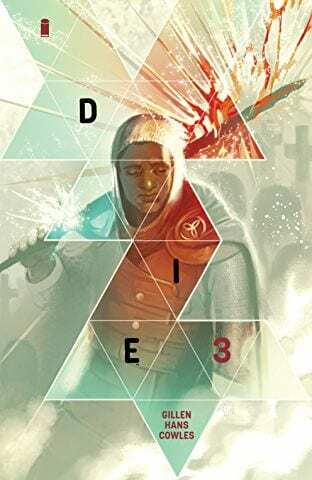 Die #3- I was a little late to the party with Die, jumping on after issue two was published, and I honestly wished I had jumped on sooner. That’s how good this book is. The best way to describe this series is Jumanji meets Dungeons and Dragons, but it’s so much more than that. The amount of detail Kieron Gillen has put into creating this universe is outstanding. Stephanie Hans’s art is breathtaking to the point where I can’t believe she’s able to get an issue done every month. 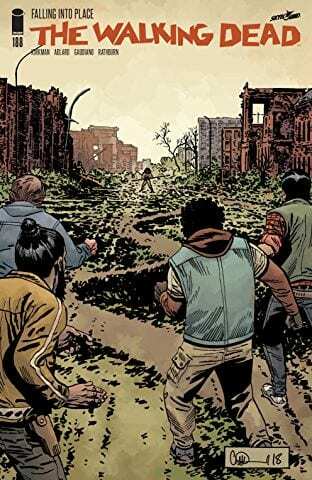 Gillen goes heavy on character and a mystery while thrusting us almost blindly into this world. Much like these characters. Die is a comic you’re going to spend a great deal of time with and is going to spend a great deal of time with you once you close it. Tremendous storytelling at its finest. 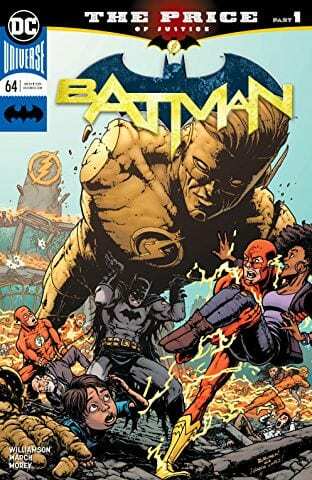 Batman #64– Tom King will be taking the next couple of issues off, to focus on completing Heroes In Crisis and other projects, which means the “Knightmares” storyline has hit the pause button. Don’t worry though, that doesn’t mean we’re going to be deprived of new Batman comics. Joshua Williamson will be jumping on the book for part one of a four-part Batman/Flash crossover. Not a bad substitute if you ask me. 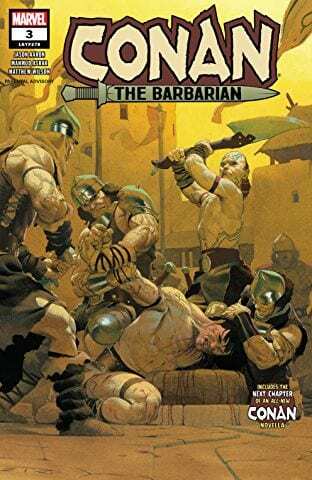 Taking place before the events of “Knightmares”, issue sixty-four focuses on the fallout of Heroes In Crisis. Wally West is dead and both The Flash and Batman are collapsing under the weight of its realness. When a familiar face, from early in King’s run, shows up in Central City to mess up the Flash Museum, the two have to work together before things get out of hand. The tension is palpable as the death of Wally creates a rift between these two great detectives. A solid start to this crossover with an ending that I wasn’t ready for. For those of you who need more Heroes In Crisis in your lives will feel right at home here. 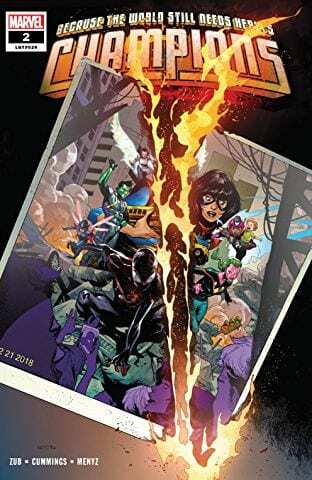 Young Justice #2– Even though they just met in issue one, Brian Michael Bendis wastes no time throwing this group of young heroes right into the thick of alien planetary craziness. Gem World looks like it’s on the brink of war and it appears that its biggest saviors could be this new Young Justice team. But before they can unite we need to learn what everyone has been up to before that fateful day in Metropolis. 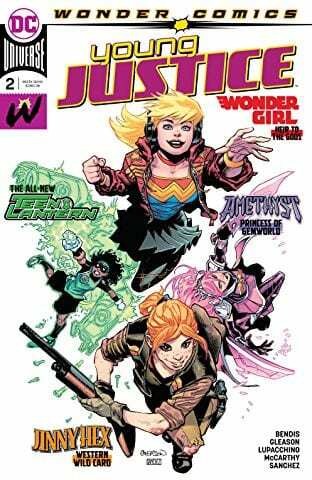 The next few issues of Young Justice look to be character-centric and issue two starts with Wonder Girl. Not a lot of plot is advanced here but we do get some Wonder Girl awesomeness as these characters begin to take shape. You can tell that Bendis is having a blast with this book and I can’t wait to see what we’re building towards. 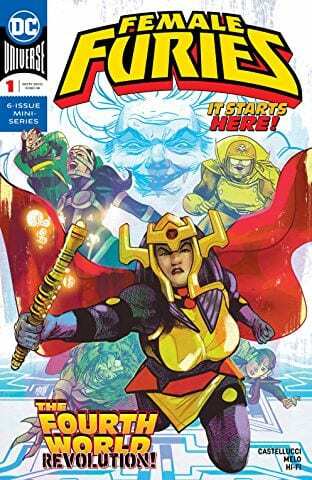 Champions #2– This soft reboot of Champions is off to one hellacious start. Pun… intended! Issue one of Jim Zub’s latest Champions run ended with Miles Morales sharing a room, and a secret, with the devil of the Marvel Universe, Mephisto. Anyone who read One More Day knows that Mephisto has a murky history with Spider-People, and my initial reaction to that last page was something irrational like “you stay the eff away from Miles you monster!” Clearly, I have not fully healed from One More Day, but you have to admit, seeing Mephisto with Miles is a bit alarming. Issue two looks to explain what exactly brought Marvel’s devil to our young Spider-Man and the reasoning is… well, it’s heartbreaking. Zub is holding no punches and presenting some major elements that will shake this group to the core. Possibly even the Marvel Universe. There you have it Geeklings, all the best books to get your mitts on this week. As always, if you think I left anything off this week’s Pull List sound off in the comments. 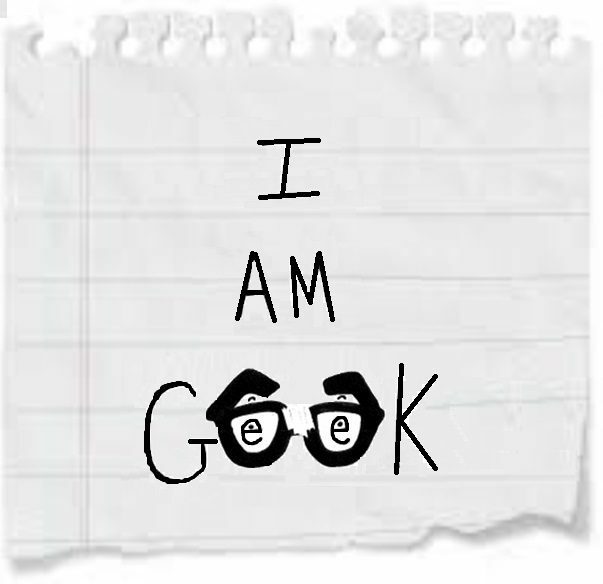 If you’d like to talk more comics with yours truly then you can find me on Twitter @iamgeek32. For my Deadly Class fans, I’ll be on Twitter live Tweeting tonight’s new episode so feel free to join me. Wednesday just keeps getting more awesome! That’s going to be a wrap on this week’s Pull List. I’ll see you all back here next week for more kickass comic suggestions. In the meantime, happy reading and many huzzahs!